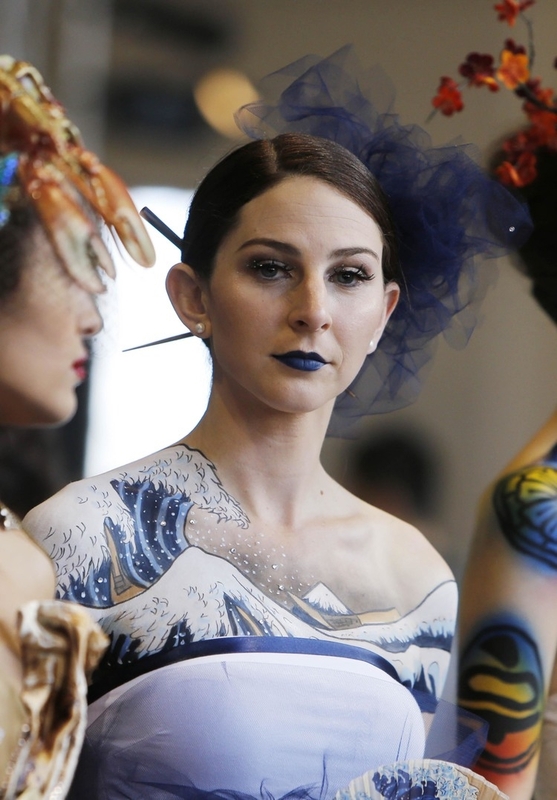 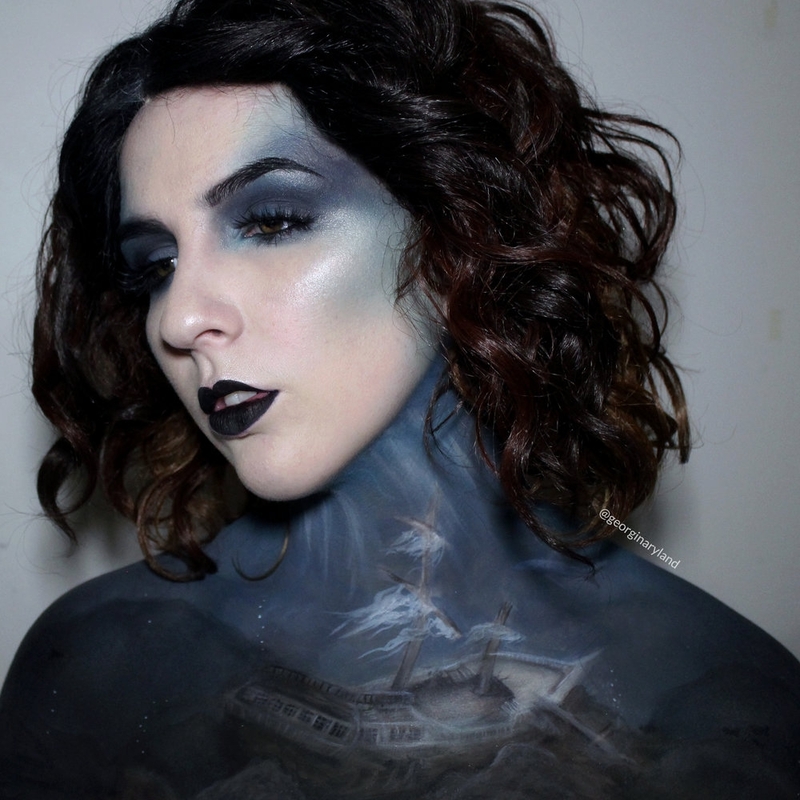 A makeup artist that treat the body as a canvas. 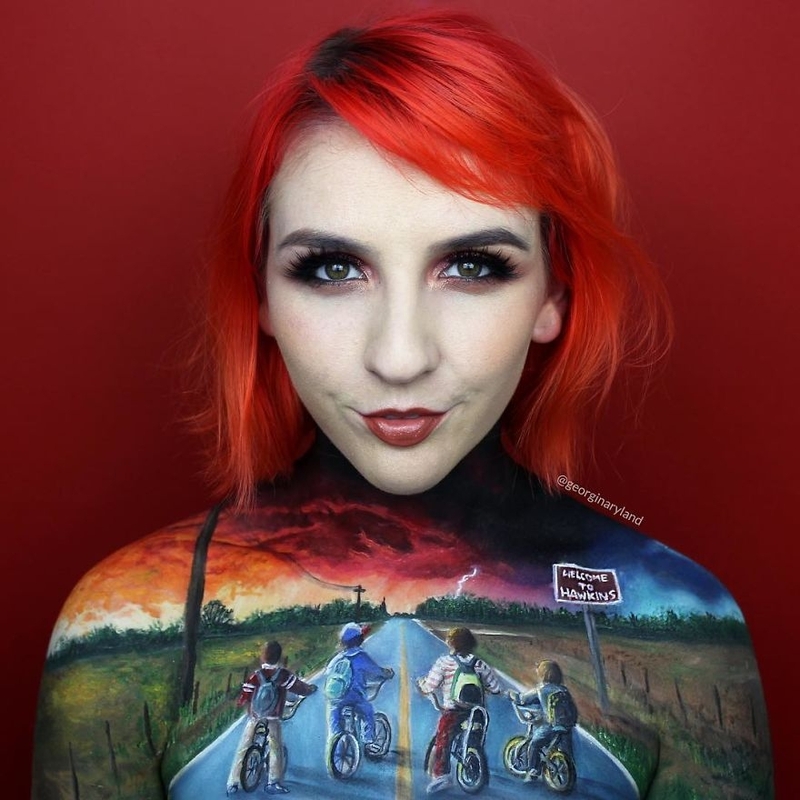 Georgina Ryland moved from makeup applications, to makeup and special effects after she graduated from a Diploma in Cinemagraphic Makeup, at the Australian Academy of Cinematography Makeup. 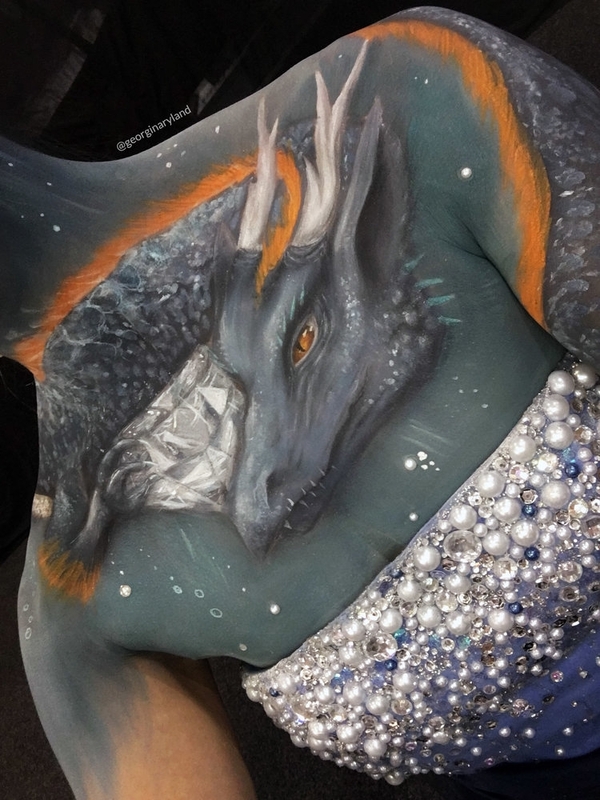 Apparently she uses painting and drawing techniques, to enable her to work on a difficult, not uniform, 3D canvas that is our anatomy. 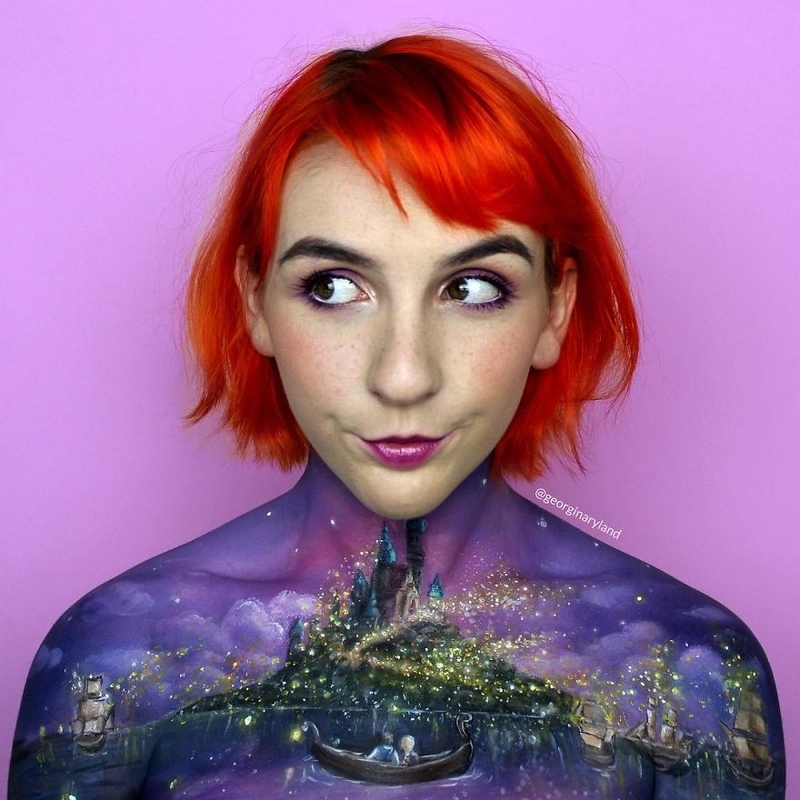 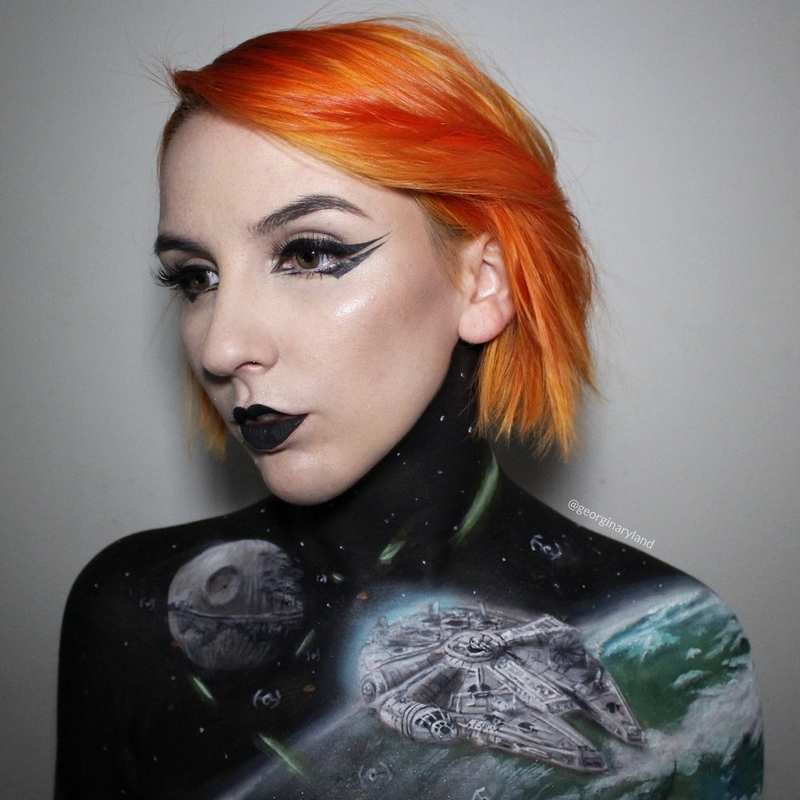 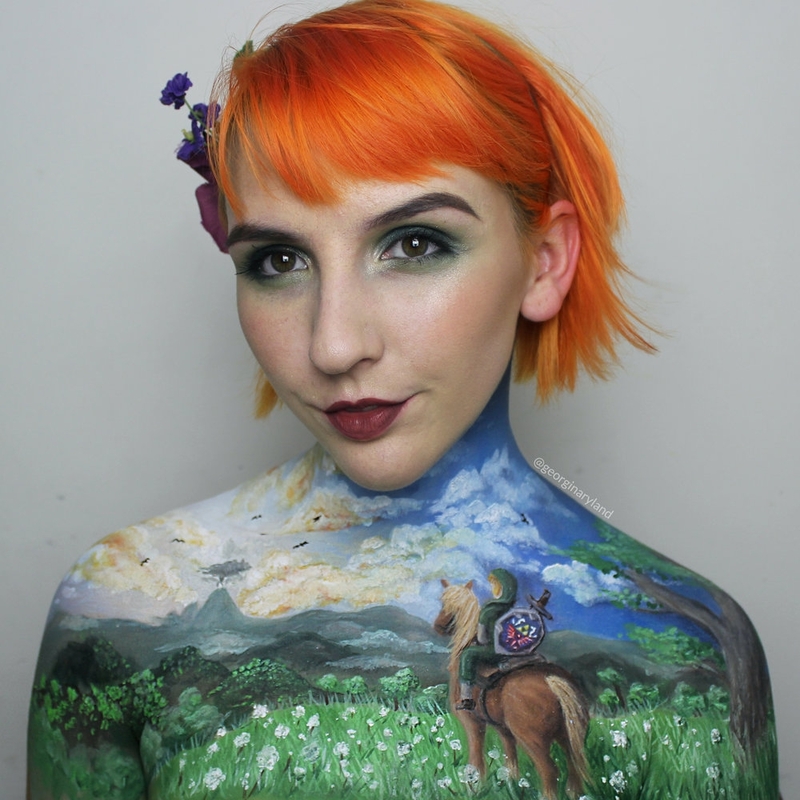 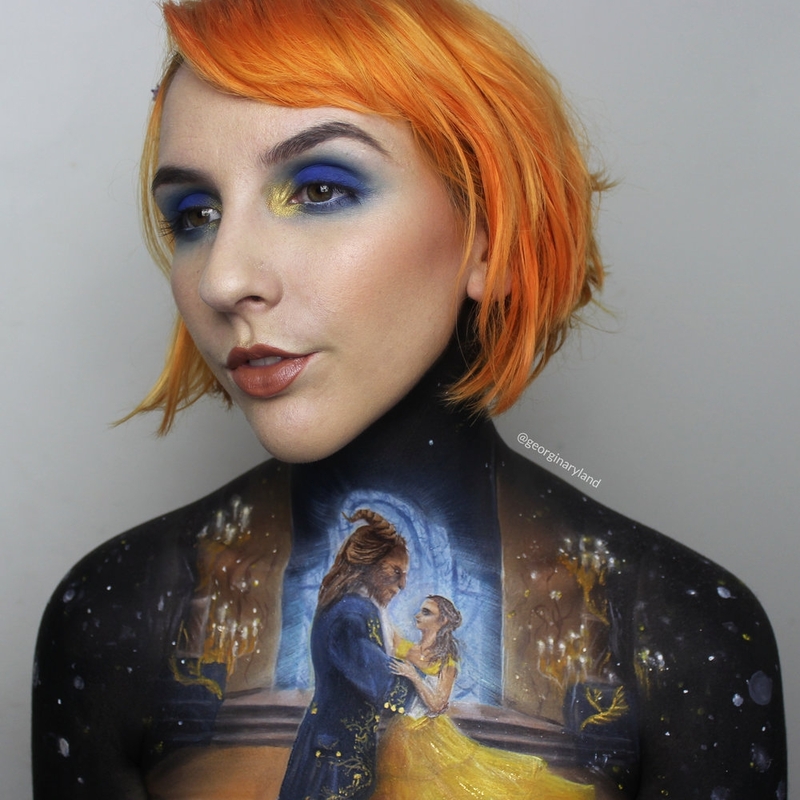 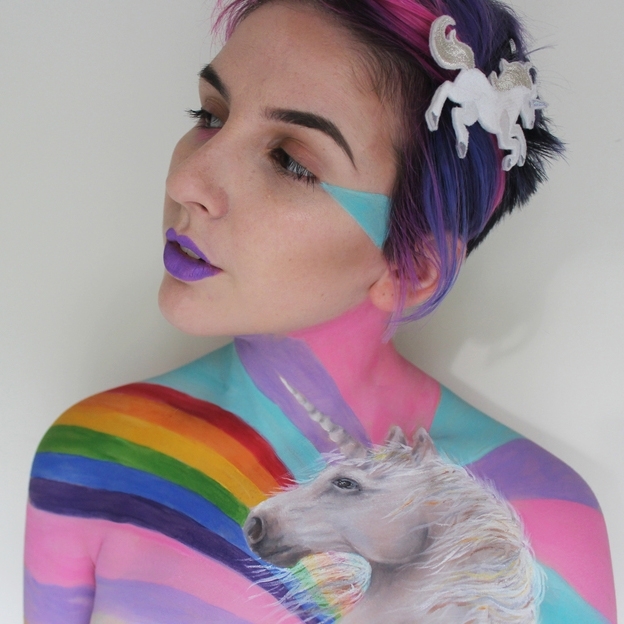 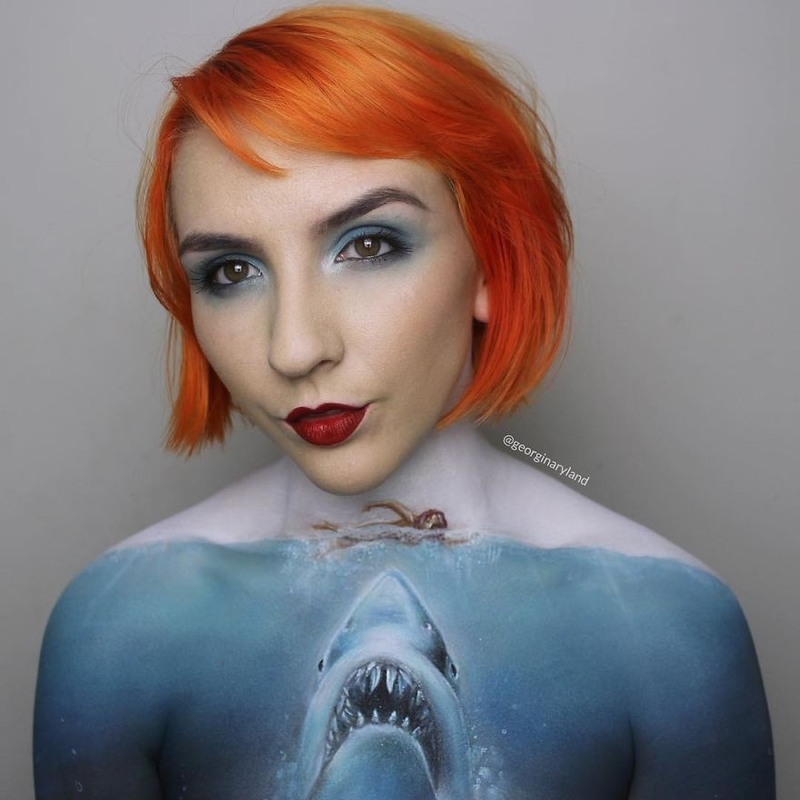 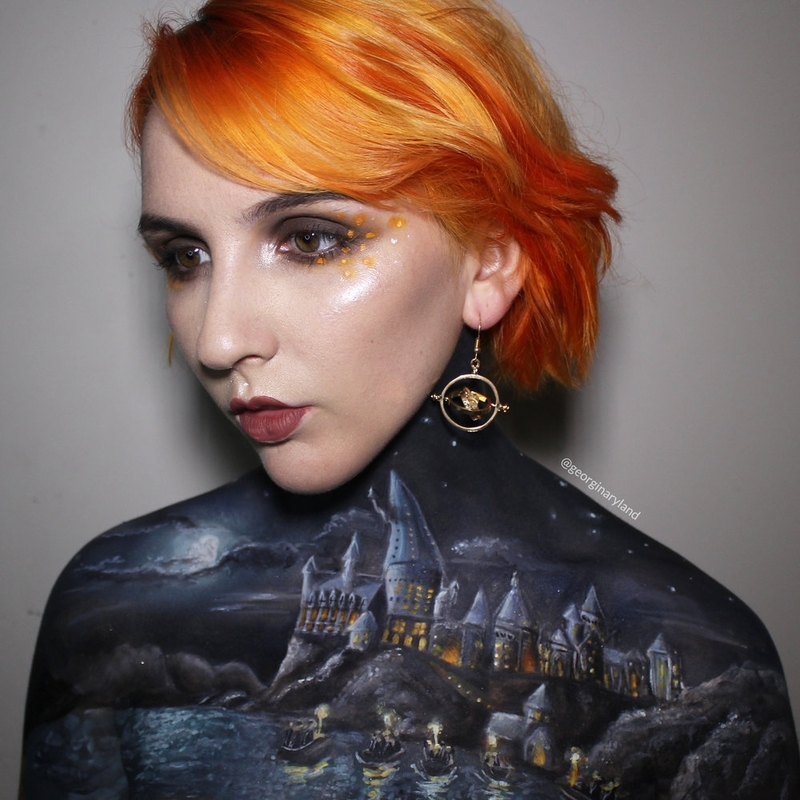 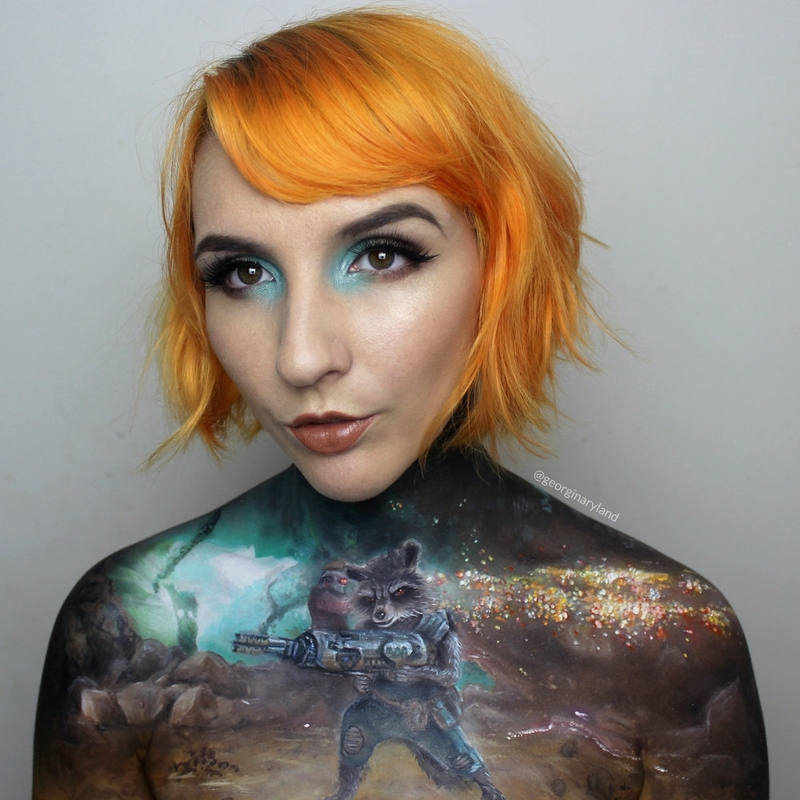 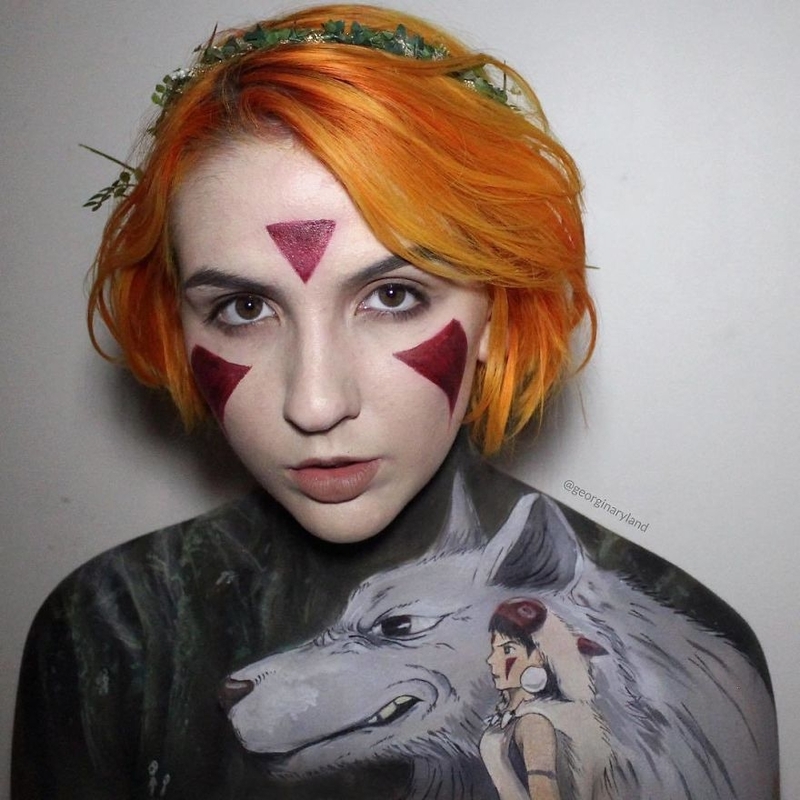 The scenes she paints on her own body include: famous films (Guardians Of The Galaxy - Lord of the Rings), animations (Walt Disney Tangled), video games (The Legend Of Zelda), fantasy scenes (Unicorn) and more. 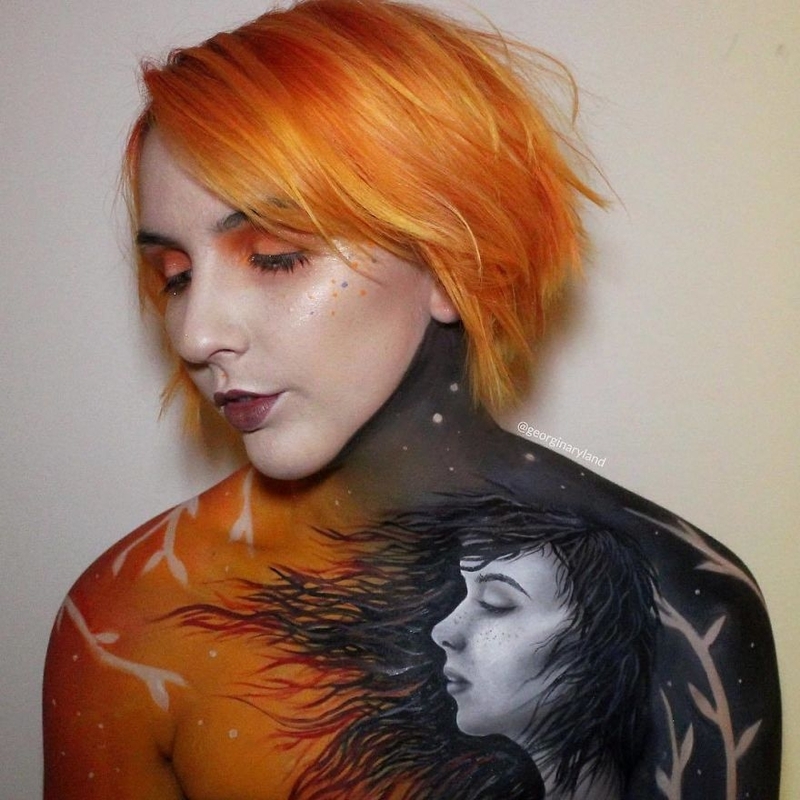 I have included a video that shows Ryland, actually executing one of these paintings on herself. 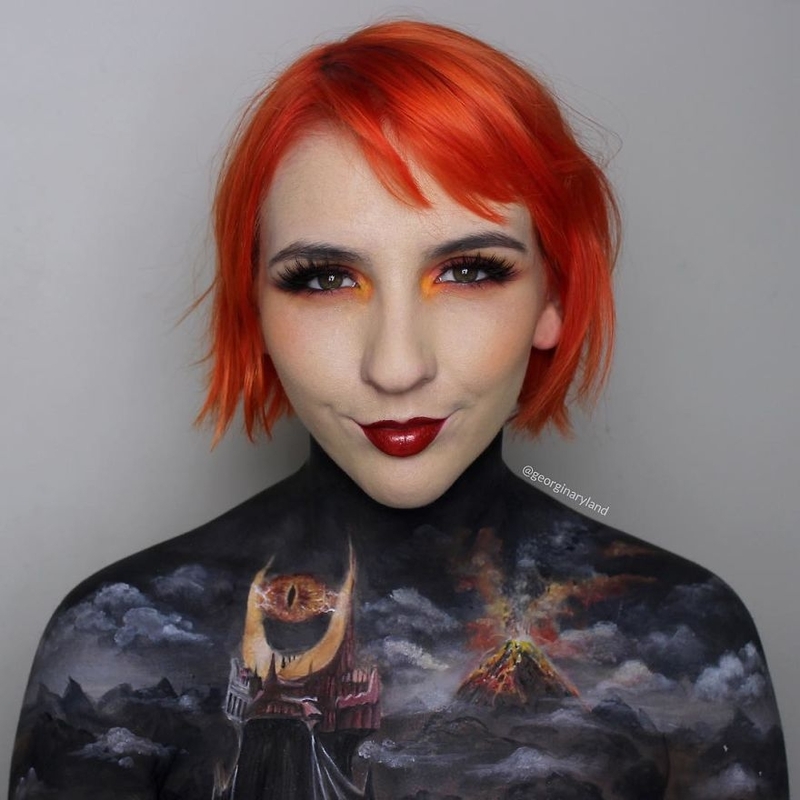 Lord of the Rings Sauron.